This project was awarded to AEC as the lowest responsive bidder during a public bid process. 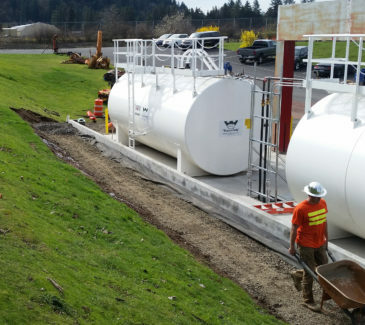 The purpose of the project was to construct a new above-ground fueling station for Multnomah County in Portland, OR. 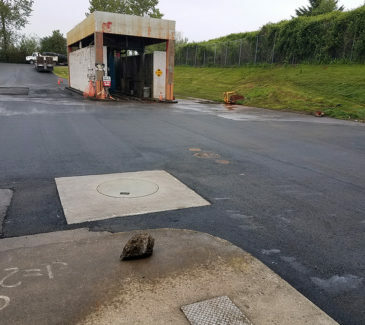 The scope included the installation of two (2) new aboveground fuel storage tanks, surveying and analytical work, PCS removal and disposal, storm and sewer system improvements including a new oil water separator (OWS), electrical and asphalt work, and the installation of new concrete retaining wall, island, tank, and drive slabs. 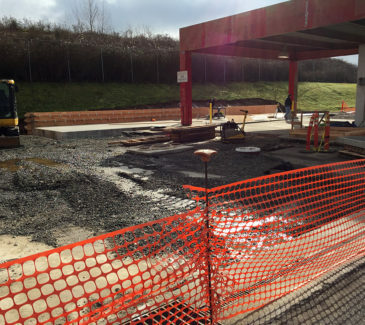 Following the concrete removal, crews excavated the work areas and installed and piped in two (2) new fuel dispensers. 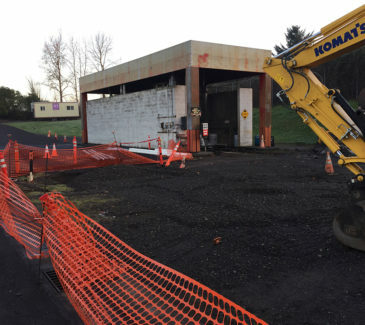 Unforeseen conditions during excavation required additional remediation efforts, and AEC managed the removal and disposal of approximately 200 tons of petroleum contaminated soil (PCS) material, disposed of at an appropriate facility. 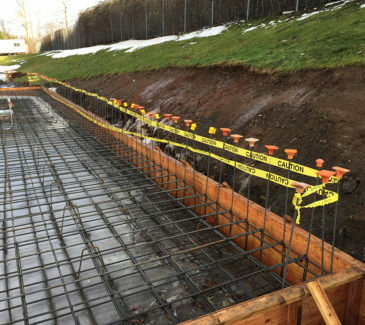 AEC also reengineered the retaining wall in order to incorporate directly into the new tank slab. The purpose of this was to provide a more stable and secure retaining wall system. As part of the wall construction, we also installed a French drain to relieve the water from behind the retaining wall. AEC managed assorted concrete work, including the installation of Controlled Density Fill (CDF) used for the test pit, and we poured the base of the new retaining wall, as well as poured concrete for the new tank slab and drive slab. 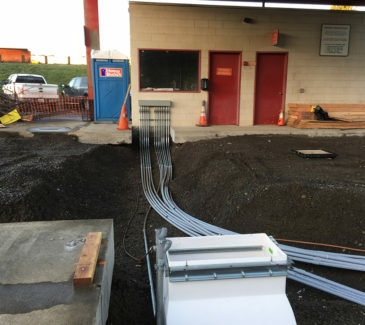 Crews also provided and installed two (2) additional transition sumps, a sump sensor conduit, associated rings and lids, and the required piping from one sump to another for future dispensing needs at the site.